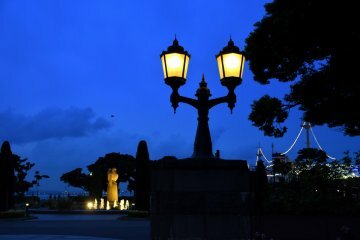 Front view from Yamashita Park. 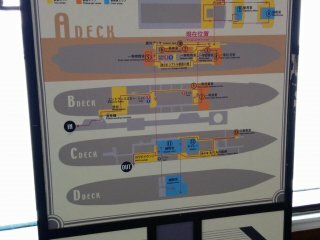 A layout of the ship. 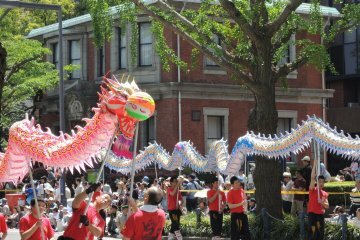 A self guided tour will take at least an hour, so be prepared to do some walking. 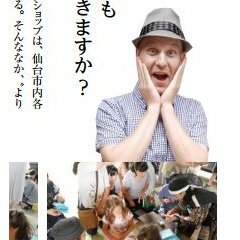 A grand staircase is hidden inside the hallways. 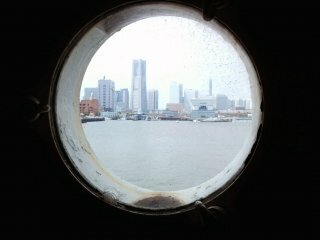 Nearby Minato Mirai 21 seen through one of the ship's portholes. 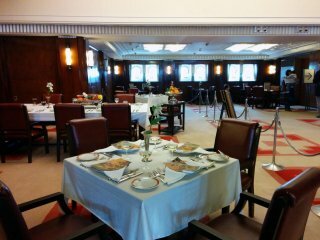 Modern day guests can experience timeless elegance by enjoying a meal in the same dining room once used during the ship's heydays. The smoking room is one of the nicest areas on the ship. And no, you are not allowed to smoke there today. The children's room has one of the cutest toy horses you'll ever see!! One of the luxury rooms only available to wealthy or invited guests. The multilevel engine room. Imagine how loud it must have been. The economy class rooms offer bunks for eight, no bathroom, but a view through a tiny window. 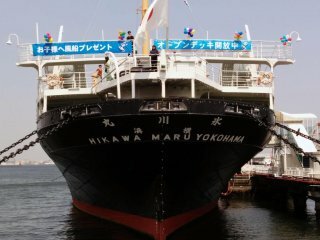 The size of the ship is impressive given the time she was built. 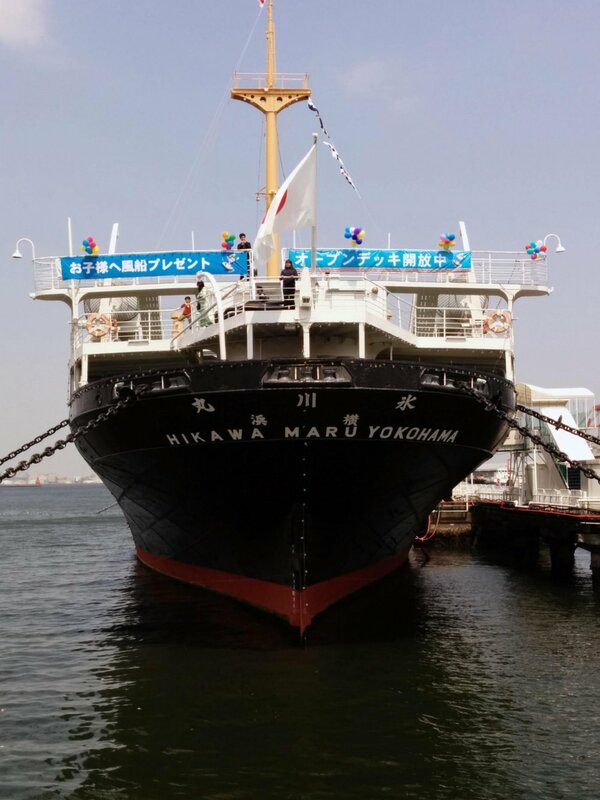 Resting proudly in Yokohama Bay across from Yamashita Park is the Hikawa Maru. 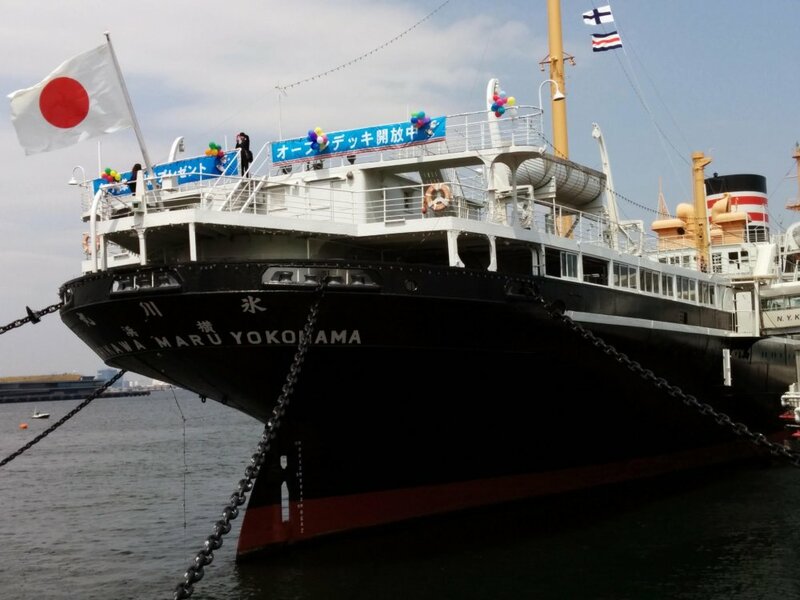 This ship has lived an incredible life, serving as an ocean liner, cargo ship, hospital ship during wartime, and even youth hostel. It is most known for its glorious past as a cruise ship. The food, service, and ship were all top of the line with everything kept professional and sophisticated at all times. It was a legend during its heydays and attracted such famous passengers as imperial family members, headlining entertainers, and even American superstars such as baseball player Babe Ruth and comedian Charlie Chaplin. 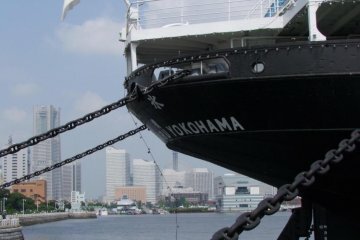 The ship was made a cultural asset of the city and now welcomes guests to hop aboard for a self guided tour. 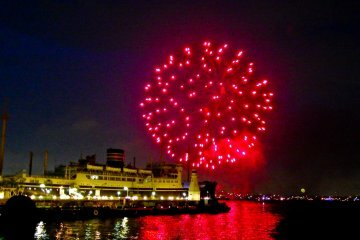 Come see what luxury was last century while enjoying panoramic views of the harbor from the top decks.